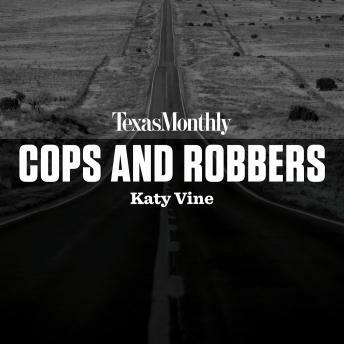 In partnership with Texas Monthly, Katy Vine's 'Cops and Robbers' is now available as an audio download, where the length and timeliness of a podcast meets the high-quality production of a full-length audio program. In 'Cops and Robbers,' listeners are introduced to members of the Panama Unit, a group of young, eager sheriff's deputies and police officers tasked with drug busting along the active dealing border between Texas and Mexico. The unit was created by Guadalupe 'Lupe' Treviño, a popular, charismatic sheriff looking to right the wrongs of his predecessor, who had been charged with extrotion and drug trafficking. Treviño placed his arrogant son in charge of the unit, a move that many questioned and one that would be the downfall of the sheriff's office. Katy Vine explores Southern Texas's fragile relationship with the drug trade and its border with Mexico through this larger than life story of what happened to some of Texas's finest when taking part in the drug trade became more worthwhile than stopping it.